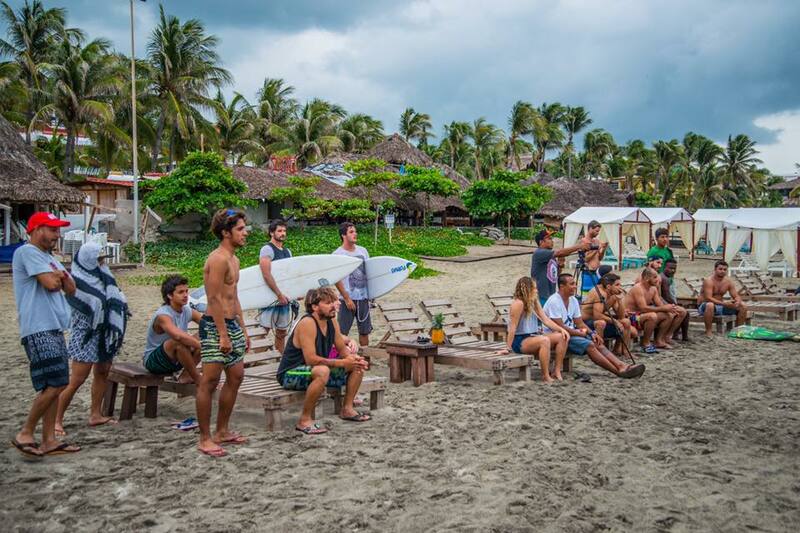 Our life in Puerto Escondido, revolves around surf and this summer, was a little bit more fun than usual. Silvia from Brasil, Mada from Uruguay, Polly from Guatemala and Totis from Uruguay ready to join the guys in the lineup. Zicatela is known to be the barrel paradise for most surfer guys. Since the conditions are gnarly its not very common to see many girls out in those waves. However, this summer, more girls start to charge at Zicatela. Not just surfergirls, also bodyboarders and waterphotographers! A normal day for us would start with an early surf check, while having a light breakfast. Polly loves Zicatela and she has fun in small days as well as big ones. Silvia is not a newbie at Zicatela, she enjoys the mexican waves every summer. It was first summer at Puerto Escondido for Mada but she got comfortable right away. Then, we would go out and surf/shoot, till it was too hot or the wind start messing up the waves. Surfer Marcelo Mota from Brasil charging on real Zicatela summer bomb. For our well deserved lunch, we would usually take a "Colectivo" to get to the "Mercado in town. A "Colectivo" is a pick up truck, with a tent-like cover and benches in the back, so the passengers can hop in and out as easy and fast as possible. This is the most inexpensive way of transportation and the funnest. You get to experience the real local Puerto Escondido lifestyle. Once we get to the “Mercado” we go to our usual spot for authentic delicious mexican food. The place is called “Vanessita”. They have typical food from Oaxaca and all kinds of fresh fruit juices. Since Polly, Maria Fernanda are regulars, the people at "Vanessita´s" already know what our favorite dishes are. The friends we bring with us, is what changes every time! After lunch we would buy groceries. You can choose from a big variety of fresh veggies, and fruits. After buying our beloved 3 kilos of mangoes (which we will devour in a couple days), we headed home for “Siesta” time. We would wake up from our “Siesta” and have another surf sesh or go for a walk before sun down. Then we headed to the gym for our daily workout routine. Dinner time was always fun, we would hangout with all our friends. On the weekends we would go out for a little dancing, or to the movies. Perfect barrels for local boy, Jafet. Not every day is that perfect at Zicatela, some days are pretty gnarly and once you are back in the beach you can just thank God to come in safe in one piece. When the waves arent that good in Zicatela there are always other options. You can always drive south. for our mini surf trip. Who doesnt like road trips? Specially when you go hunting for some waves! And sadly another Mexico season came to an end. Its time to get our bags packed and our passports ready, for our next destination.